It also quotes a paragraph from the book and alleges that the book has portrayed the erstwhile royal family members as 'gamblers and alcoholics'. 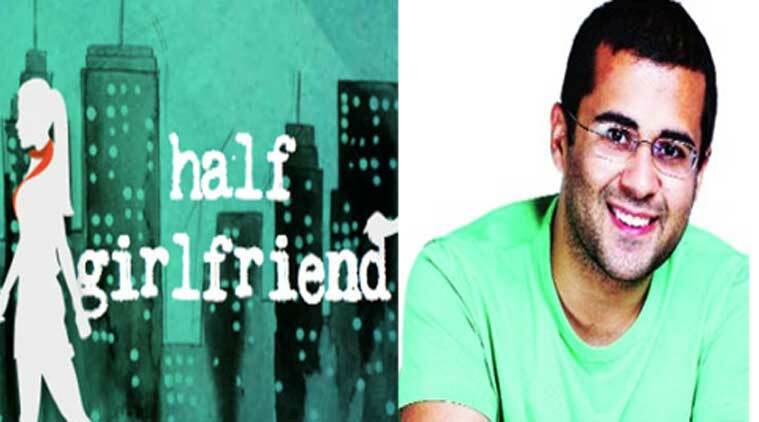 The notice says ‘Half Girlfriend’ contains express and implied references to former royal family, which are false and derogatory in nature. Irked over their reference in his latest novel, the erstwhile royal family of Dumraon has sent a legal notice to author Chetan Bhagat and the publisher, demanding unconditional public apology and recall of all copies of the book that are yet to be circulated. The notice has been sent by Supreme Court lawyer Gaurav Ghosh on behalf of ‘Maharaja’ Bahadur Kamal Singh, the erstwhile ruler of the princely state of Dumraon in Bihar’s Buxar district, and the heir ‘Yuvraj’ Chandra Vijay Singh. The notice demands “unconditional public apology” from Bhagat and publisher Rupa Publications and “recall of all copies of the book that are yet to be circulated” failing which damages and criminal proceedings will be sought against them. It also seeks expunging the words “Royal Family of Dumraon” and any other words that refer to the erstwhile rulers from all copies of ‘Half Girlfriend’ that may be published in future. “We have given 21 days to Bhagat and the publishers to take measures to give us relief. They have maligned our family, which has an unbroken and glorious history that could be traced back to over 500 years, and which continues to be in the service of the people of the nation till date,” Chandra Vijay Singh told PTI. The notice, a copy of which is available with PTI, says ‘Half Girlfriend’ contains express and implied references to the former royal family, which are false and derogatory in nature. It imputes conduct to the family, disparaging them as well as exposing them to contempt and ridicule. It also quotes a paragraph from the book and alleges that the book has portrayed the erstwhile royal family members as ‘gamblers and alcoholics’, and points out that no other royal family of Dumraon existed in India. “We have suffered ridicule due to the book and we will not let it go. We have also heard that a movie is going to be made based on it. It will lead to further insult. If the author and the publisher do not accept our demands within the stipulated timeframe, we will move court,” said the 67-year-old Singh. The family initiated legal action after protests rocked Dumraon two weeks ago and the residents of the place burnt effigies of Bhagat as well as copies of the book and demanded action against him for giving the place a bad name. The erstwhile Dumraon state was founded by a branch of Parmar rulers of Jagdishpur (Bhojpur) and Raja Narayan Mal (1604-1622) was the first king. The present ‘Maharaja’ Bahadur Kamal Singh was anointed the king on November 13, 1949. He was also elected to the first two Lok Sabhas after Independence.